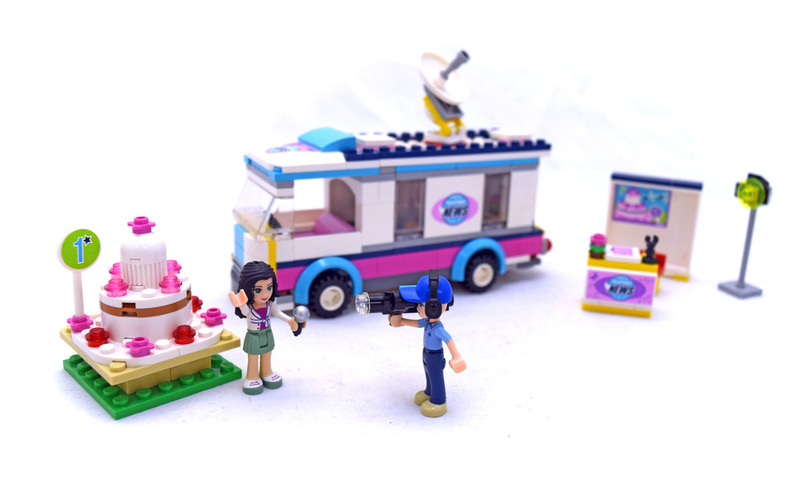 Heartlake News Van (LEGO #41056-1) is a great LEGO set from the Friends theme. The news van is cool because you get a nice van with controls. There's anchor desk and a big old cake! Includes Emma and Andrew. Set comes with 2 minifigures and 278 pieces.